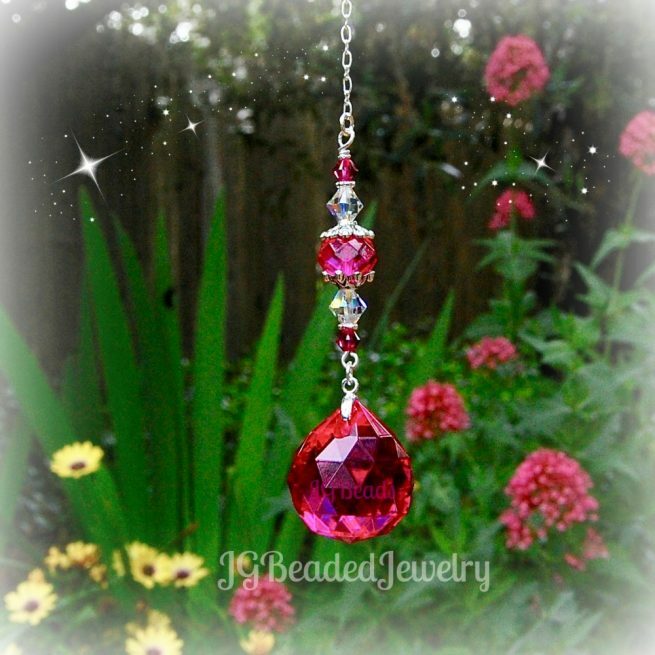 This fuchsia crystal suncatcher is uniquely designed with love and care for strength and longevity! 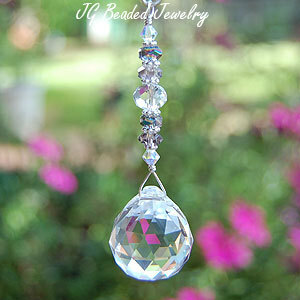 It can be hung from the rearview mirror, in a window at home, the office, garden, sun room or wherever you choose! This hot pink suncatcher is crafted with a gorgeous 20mm fuchsia colored prism crystal. 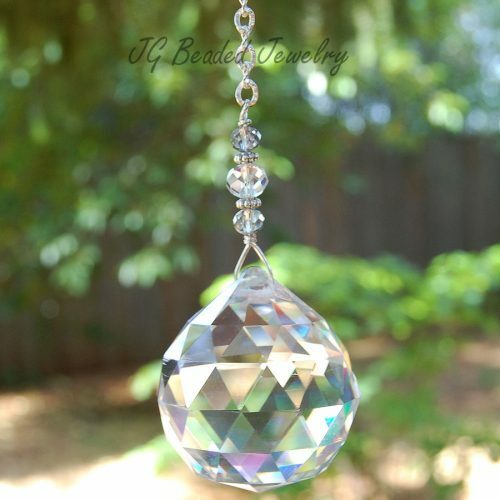 When light shines through the crystal ball – it radiates with fantastic color! 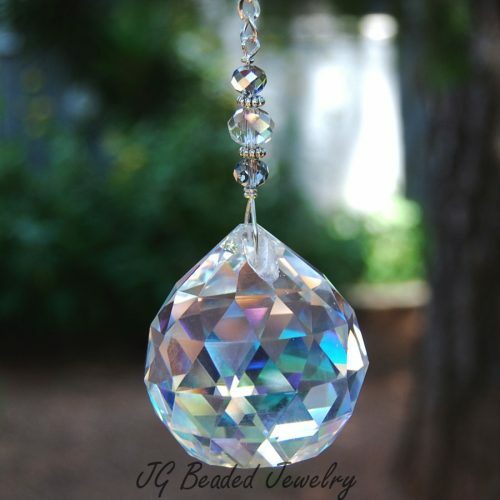 The fuchsia crystal ball is embellished with flawless fuchsia and iridescent Swarovski crystals and accented with fancy silver metal beads. 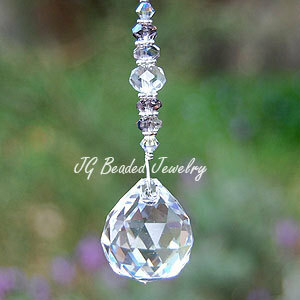 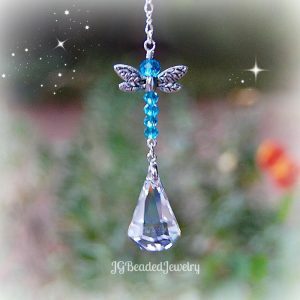 ♥ Swarovski is known worldwide for their quality, precision cut, and flawless crystals – they are the best!